Someone with grand wit once quipped that the problem with dining on the cutting edge is that you’re oft left bleeding. It grieves me to report that my dinner at Osteria Francescana, perhaps one of the most spotlit restaurants in the world right now, was disappointing. Was the restaurant a victim of hype in this instance? Perhaps. Recently, a lot of confidence has been placed in its chef, Massimo Bottura, by international kingmakers. Bottura was awarded the Gran Prix de l’Art de la Cuisine by the l’Académie Internationale de la Gastronomie in February of this year. And, at the time this post issues, Osteria Francescana holds two Michelin stars (edited to add: The day after I published this post, Osteria Francescana was elevated to three Michelin stars) and occupies fourth place on that silly – and, in my opinion, cloutless – San Pellegrino World’s 50 Best Restaurants list, whose voting body also named the the restaurant the “Chefs’ Choice” this year. As we know, the higher the wall, the harder the fall. Was my meal the victim of Bottura’s frequent absenteeism? Maybe. I won’t be the first to note that Bottura seems to be out of his kitchen far more than he’s in it these days. Due to his sudden popularity, speaking engagements have him criss-crossing the globe regularly: Lima, Cologne (where I saw him speak a week after my meal), New York, all within the span of two weeks. It was during this stretch of his travels that I arrived at his table in Modena, Italy. Or was there simply a miscommunication between the chef and this diner that night, a disconnect between kitchen and table? Probably, a little of all of the above. It is not in my nature to be vituperative. Hopefully you know that by now. And it is not in my place to pronounce judgment on a restaurant based on one meal. But I do think it’s worthwhile to examine a meal when it fails to meet expectations. And that is what I’m here to do. At the fear of overstating my disappointment, my meal wasn’t a complete loss. No meal is. Regardless of how far short of expectations a dining experience falls, I always leave the table having learned something new. Otherwise, I would have given up this costly and unprofitable gig long ago. 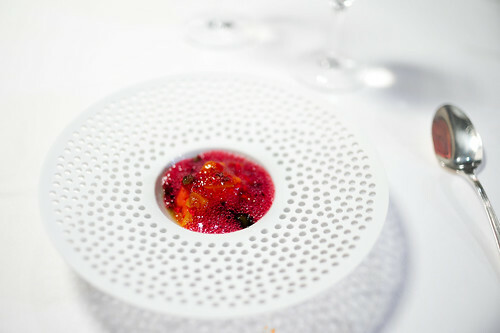 Despite the rather grim start to this post, there were a few truly satisfying dishes that night at Osteria Francescana, like an amuse bouche of almond granita with coffee cream, capers, and bergamot – an unlikely, yet spectacular assembly of Italian flavors that touched almost every part of the tongue. There was a delicious bowl of “Osso Buco,” rich and thick, a meeting of two, distilled sauces without the meat. A tumble of puffed rice, which managed to stay crispy despite the rather humid and warm dining room, gave the dish a crunchy pop. And there was a refreshing “sangria,” deconstructed, at the end of the meal that was quite good, even if the slushy cocktail was a bit syrupy. But then, there were some dishes that I found utterly confusing, like a perfectly accurate, but otherwise misguided diorama of a “lily pond.” I don’t care how compelling of a story one might tell of tadpoles and the waters in which they live, there are some conceits that I don’t care to taste. This was one of them. Wit, precision, beauty – all of these go to the round file if the dish doesn’t taste good. Muddy, bitter, and slimy with junsai coated in mucilage, this was gross. An otherwise tasty oyster shell full of oyster cream and green apple granita was discredited by a clump of lamb tartare so threaded with sinew that I swallowed the entire wad whole, unable to chew it. These kind of execution errors simply shouldn’t happen at a restaurant at this level. Coffee cream, bergamot, and candied capers. Tempura flakes, roasted bell pepper sauce. Tomatoes, olive broth, almond crumbs. Burnt squid, caviar, lemon gel. Green apple gel, polenta, onion ash. Sesame, seaweed, daikon, cucumber, ponzu. Mint, potato, sour cream, herb crackers. To see all of the photos from this meal, CLICK HERE. 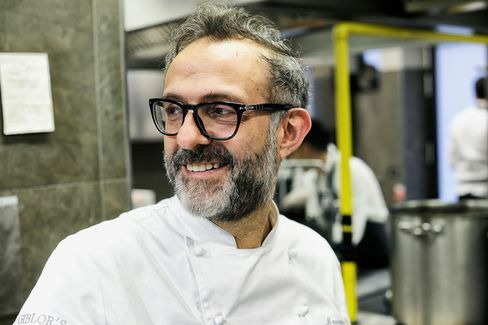 Why is Massimo Bottura suddenly so popular? Well, after meeting him and hearing him speak about his food, I can tell you that the man is incredibly articulate. His passion is intense, his enthusiasm is infectious. He weaves thoughtful threads that make your heart beat faster, your mind churn harder. He’s charming. Bottura inspired me with a story about an eel that swam up the River Po, finding polenta along the way to Modena, where he arrived at an orchard of green apples. It’s an age-old tale, one that is told poetically on camera by his mother, a woman wizened with the lines and expressions of Italy. I wish I had known this story the week before, when it appeared on a plate at Osteria Francescana, a seemingly random assembly at the time: a strip of glazed eel between a swipe of green apple gel and a dash of polenta. I loved the sweetness of the glaze balanced against the tartness of the green apple gel. But the polenta was congealed to the plate. I lifted the entire strip in one, two-pronged piece. And with that, whatever meaning and success the plate might have claimed unraveled quickly. It was a precarious line this dinner walked, with the merits of each dish relying not on execution, but almost solely on context, which may escape a foreigner. 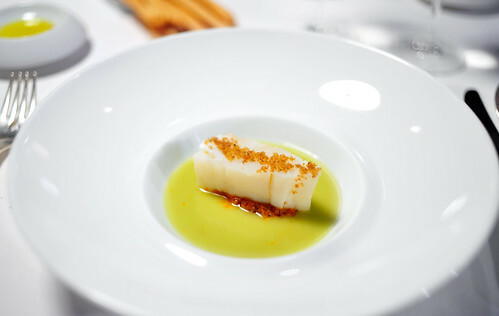 Sometimes the flavor rescued the dish from mundanity, like a delicious block of salted cod dressed in Mediterranean flavors. At other times, it damned it, like a garishly salty and stiff clod of miso-cured foie gras over which was poured too much ponzu sauce that seemed more soy sauce than anything else. Yikes. Why did the lamb chop come with a swirl of mint sauce? It seemed rather ordinary. And rather misplaced, culturally. Perhaps I was too distracted by my overcooked chop to consider the matter further. But I’m not sure I would have arrived at the right answer even if I had given it more thought. 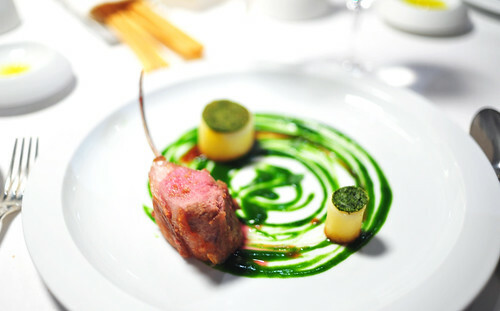 When I asked Bottura about it, he said that this dish was an expression of lamb as prepared by three different cultures: the British pair it with mint, the French with rosemary, and the Italians with basil. All three of these herbs were on the plate. Without context, the wings of wit are clipped, rendering the most clever references impotent. And here, this dish was a victim of context, which I found both cryptic and missing. So, was this meal helpless? Context can be acquired, it can be taught. What was helpless was the staff, which seemed to know little and explain even less when asked. Just a few posts ago, I had stated that good chefs tells stories, conveying time and place, and that great chefs tell fairytales, creating time and space. 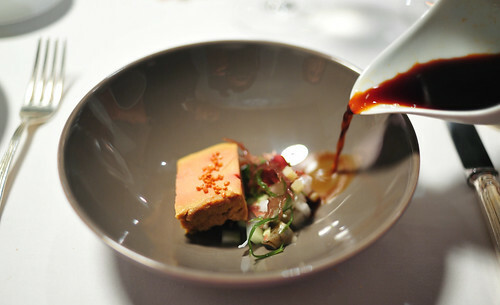 Massimo Bottura attempted, but failed to to do either of those things at this meal. Although he charmed me at the Chef Sache in Cologne, sadly, that same wit and wisdom didn’t make it to my table at his restaurant. It’s one thing to tell a story. It’s very much another matter to have it understood. Both need to happen. I know I’m not the sharpest knife on the block, and so I refuse to condemn Osteria Francescana based on this one meal, one that I may not have properly understood due to my own cultural ignorance. But the faulty execution, some distastefully dissonant flavors, and the hapless service were all weak points that are not beyond the reach of my criticism. Every restaurant is allowed to miss the mark occasionally. If that’s the case here, it’s a pity it happened on the night when we six gathered, having traveled thousands of miles among us for its sake. 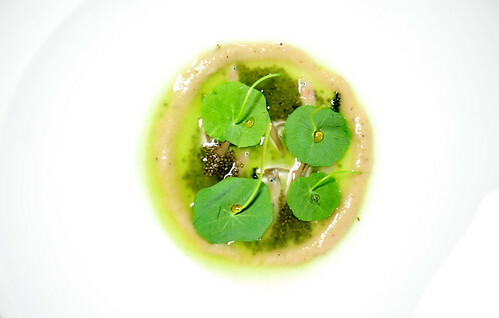 Would I go back to Osteria Francescana? Absolutely. Disappointment is not overcome by avoidance. My friend Adam of A Life Worth Eating (for whom I do not speak in this post) returned the next day for lunch and seemed rewarded by it. He ordered the Classico Menu, and, judging by his photos, it seemed like a more sensible story – one that even I could read by the titles alone, there being a clearer link between past and present, situated between the Italy of yore and the Italy of modernity. I think that’s where Bottura had hoped to take me. Unfortunately, not this time. Perhaps the next. * I note that mine was the only chop that was overcooked at our table of five. Massimo Bottura (53) mag zich dit jaar chef van het beste restaurant ter wereld noemen. Met zijn Osteria Francescana in het Italiaanse Modena is Bottura opgeklommen tot het allerhoogste plekje op de fameuze lijst van The Diners Club. Osteria Francescana doet haasje-over met de Spaanse nummer 1 van vorig jaar, El Celler de Can Roca. We moeten de top 50-lijst uitbreiden naar een top 100 om drie Belgische restaurants tegen te komen. De vorige jaren strandde de charismatische chef Massimo Bottura op plaatsen vier (2011), vijf (2012), drie (2013 en 2014) en twee (2015) in de top 50. 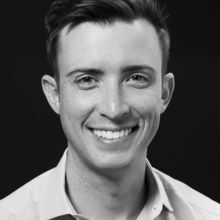 Maar dit jaar hoeft hij eindelijk geen enkele zaak nog boven zijn eigen driesterrenrestaurant dulden. 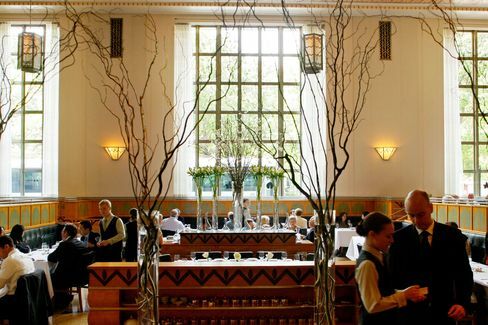 Naast Osteria Francescana staan El Celler de Can Roca (Girona, Spanje) en Eleven Madison Park (New York, VS) op het podium. Het bekende Deense Noma uit Kopenhagen zakt van drie naar vijf. In de top 50 vinden we geen enkel Belgisch restaurant terug, maar wel het Nederlandse De Librije uit Zwolle, op stek 38. Bekijken we de top 100, dan komen we wél drie restaurants van eigen bodem tegen: Hof van Cleve (53), The Jane (54) en Hertog Jan (73). De eerlijkheid gebiedt te zeggen dat Nick Bril, de chef van The Jane in Antwerpen, een Nederlander is. Massimo Bottura, chef-kok van het winnende restaurant, liep stage bij Alain Ducasse (Louis XV) en Ferran Adrià (El Bulli). Hij staat bekend als een experimentele vernieuwer. 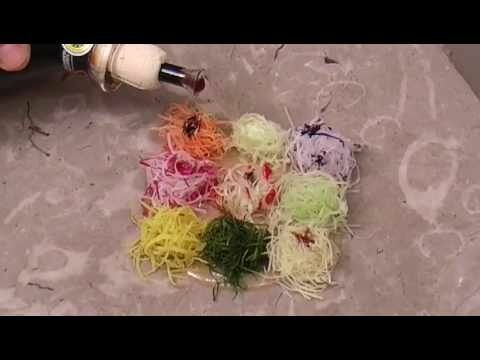 Hij bekijkt de traditionele Italiaanse keuken al jaren met een kritisch oog en brengt er gestaag wijzigingen in aan. Zo gaat hij eigenzinnig aan de slag met de wereldberoemde streekkaas, Parmigiano Reggiano. Allemaal niet vanzelfsprekend in het chauvinistische Italië, maar Bottura heeft intussen wel de hoogste culinaire top bereikt. En ook zijn landgenoten sluiten hem in de armen, als geslaagde bruggenbouwer tussen klassiek en modern. - De hoogste nieuwkomer - op 26 - is The Clove Club uit Londen. The annual World's 50 Best Restaurant Awards creates our global bucket list. Osteria Francescana was named the best eatery on the planet at the World's 50 Best Restaurant Awards, an annual tradition that has become beloved—if lightly regarded—in the culinary world. Chef Massimo Bottura, chef and owner of the World's Best Restaurant 2016, Osteria Francescana in Modena, Italy. Last year's winner, El Celler de Can Roca, dropped to second place, while Modena, Italy's Osteria Francescana won raucous applause for its win. Helmed by Massimo Bottura, it's the first Italian restaurant to make it to No. 1. Osteria Francescana is filled with artworks collected by Bottura, and the dishes reflect his love of artists such as Ai Weiwei and Wassily Kandinsky. They are colorful and exuberant, complex and fun—yet totally focused. His Caesar Salad in Emilia may look like naked lettuce, but hidden inside are 15 ingredients: the cheese in the form of crispy wafers; the eggs cured in salt and sugar and then air-dried until they are hard enough to grate; the tomatoes strained through cheesecloth for at least 12 hours. 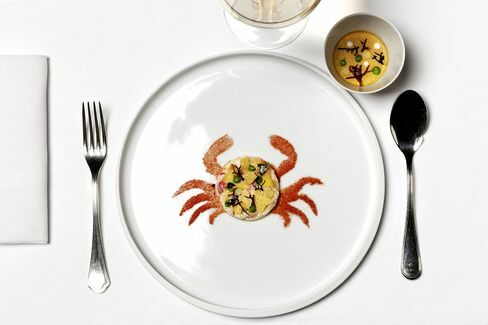 Osteria Francescana celebrates Italian culinary traditions without being slave to them. Here, a whimsically reinterpreted crab cake. The restaurants on the 2016 list were picked by a total of almost 1,000 members of the industry, including restaurateurs, chefs, writers, and gourmets. The group is divided into 27 regional panels, each with 36 members. They are asked to choose their seven "best restaurant experiences"—it's not a laurel based on food alone. The ceremony took place at Cipriani Wall Street in downtown Manhattan—the first time it has taken place outside of London since its founding in 2002. In addition to the main awards, a few restaurants and chefs were specially recognized. 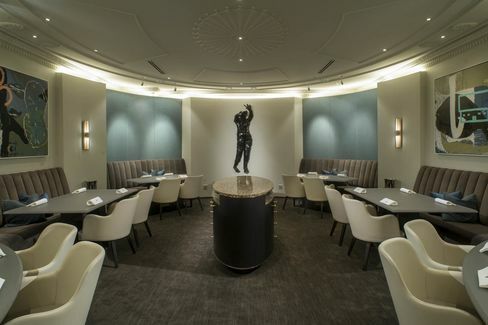 Den in Tokyo took the "One to Watch" award, presented to a restaurant identified as a "rising star" in global gastronomy and which made the Top 100 list for the first time. The World's Best Pastry Chef went to Pierre Hermé, the "Emperor of Macaroons" and "Picasso of Pastry," a fourth-generation baker who began his career at 14 and now runs an eponymous shop in Paris. 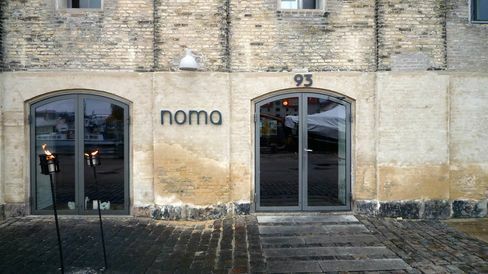 Relae in Copenhagen moved up five spots to No. 40 and won "Best Sustainable Restaurant" for a second year in a row. And scooping up the "World's Best Female Chef" with her gorgeously poetic take on food is Dominique Crenn of the two-Michelin-starred Atelier Crenn in San Francisco—which strangely didn't rank at all. 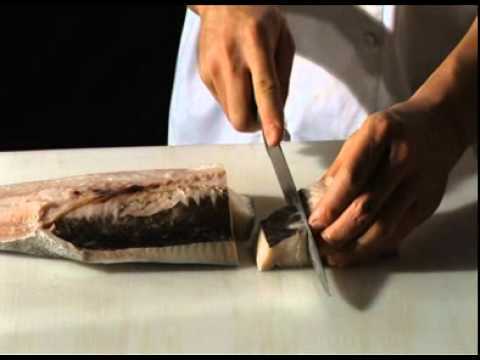 Celebrated French chef Alain Passard of L'Arpège (No. 19) was recognized with the "Lifetime Achievement" award. 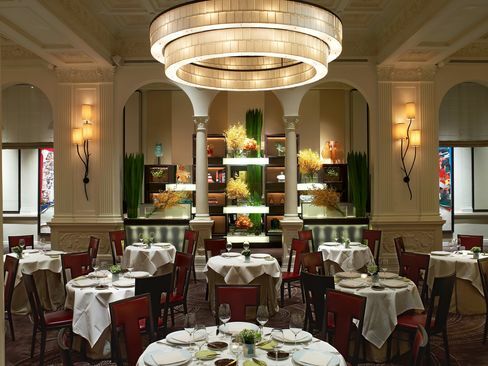 Eleven Madison Park, under chef Daniel Humm, came fifth in 2015 after placing fourth in 2014. This year it moved up one spot more to No. 3—making it the top restaurant in North America. Perhaps unsurprisingly, it also won the show's first-ever "Art of Hospitality" award. The dining room at Eleven Madison Park. The last U.S. restaurant to triumph was The French Laundry, in 2004. Since then, European establishments have monopolized the top place. The "Biggest Mover Award" this year went to Maido from Lima, which climbed 31 points to No. 13, and along with Central at No. 4 further cements Peruvian cuisine's global ascendance—and its capital as a foodie destination. Past awards have struggled with diversity, so it's heartening to see restaurants outside Europe and America getting their due. Other surprises included Heston Blumenthal's Dinner, which dropped precipitously from No. 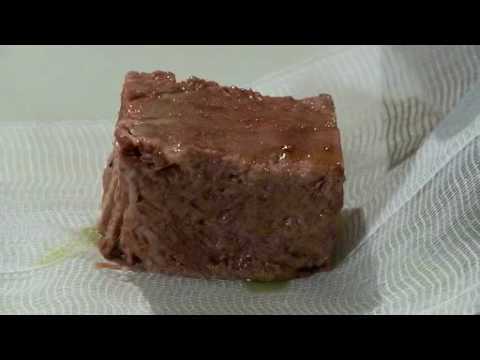 7 in 2015 to 45th place, joining Chateaubriand (No. 74), which saw a similar drop. Notably, only two Parisian restaurants made the top 50 this year, a small but significant departure from tradition. Meanwhile in New York, local favorite Estela made the top 50 for the first time, while Per Se dropped to No. 52 and NoMad fell off the list altogether (it was No. 67 last year). So did Masa, formerly No. 94. Below, the full results, with the 2015 rankings in parentheses. "Re-entry" indicates the restaurant's reappearance in either the top 50 (after bumping down lower) or 51-100 rankings (after bumping off the list altogether). The newly renovated interior of Alinea, Chicago, which climbed 11 spots to No. 15 this year. 26. The Clove Club, London (55) ** ALSO WON "Highest New Entry"
The co-owners and crew of Estela, from Bloomberg Pursuits' holiday entertaining guide. 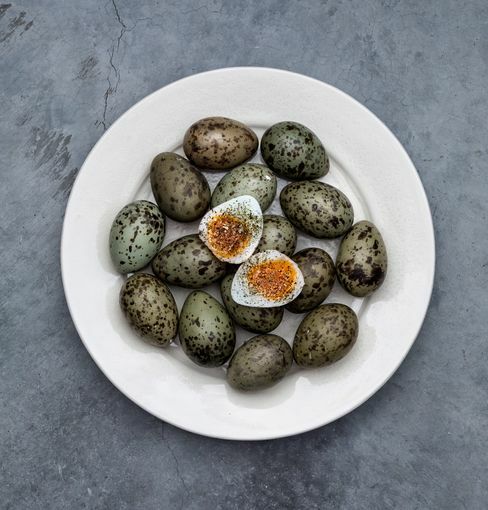 Gull's eggs at Lyle's in London. 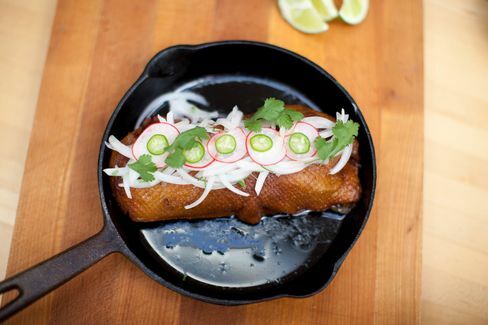 The famous duck carnitas from Cosme (No. 96), cooked at home from the chef's recipe. 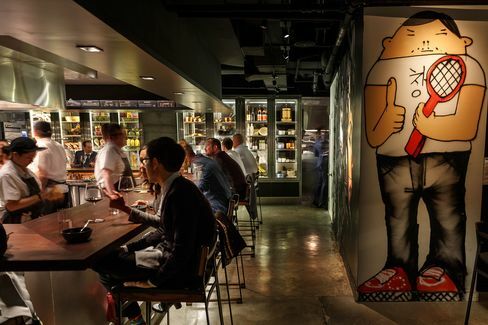 Momofuku Ko in New York's East Village.